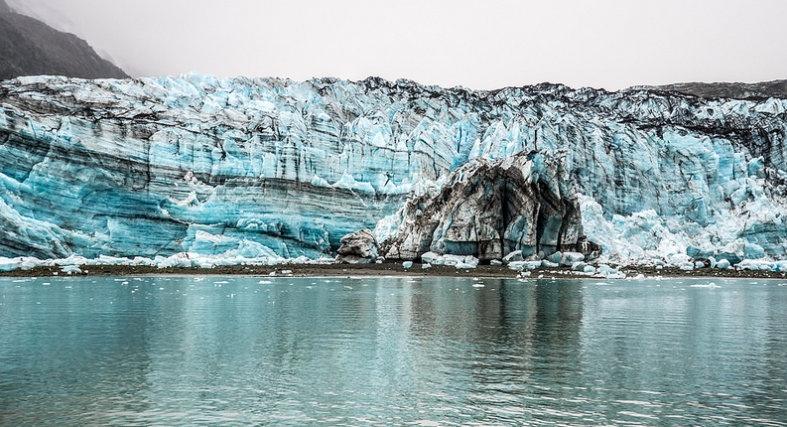 With over 3.3 Million Acres of mountains, glaciers, rainforests, and more adventure definitely awaits in Glacier Bay in Alaska. Seth B is back with a great series of pics from his trip there. Scroll through and let us know any questions as you start to plan your adventure travel trip to the Last Frontier! Keep up with Seth B as he closes in on visiting all 59 US National Parks on Flickr and Instagram! I never thought of rain forests being in Alaska before, but that's what I found when I visited Glacier Bay National Park. Glacier Bay was actually my first stop in Alaska. I flew in to Juneau and from there we took a short flight on a smaller plane to Gustavus. From Gustavus we took the shuttle provided by the Glacier Bay Lodge where we stayed at during our time in the park. There are roads in Gustavus that lead to Glacier bay National Park, but to get to Gustavus (The town/area Glacier Bay is located) you have to take a ferry to or fly in. There are no direct roads leading to this area. The town of Gustavus is rather small, or typical for Alaska. There are 2 “convenient” stores in town that vary on times and days open. I would suggest trying to bring all you can for your stay as items are rather expensive from what you are used to seeing. This is typical throughout Alaska unless you are in Anchorage or Juneau which do have a Costco & Fred Meyer. Many locals will spend a day driving to and from Anchorage (or taking a $300 round trip ferry from Gustavus to Juneau in Glacier Bay’s case) once a month or so and fill a van full of groceries. It is cheaper to do this than shop at your local market and the selection will be vastly better. Stock up when you can in Alaska as towns and amenities are far and few. Bartlett Lake Trail: Did I mention this is a rain forest? This trail was submerged in water in many locations. Some detouring was required to navigate to the Lake. We came across a black bear foraging blueberries along the way. I stayed at the Glacier Bay Lodge inside the national park. The rooms are basic yet cozy and I would definitely recommend staying here as you won’t find a closer option. The pricing is very reasonable for its location and staff was very helpful. They run a shuttle throughout the day that can get you to town, the airport, or various other hot spots in the vicinity. The lodge does have dining options for breakfast, lunch & dinner. The dining was good overall although not cheap, but this is average for Alaska. You will begin to understand why commercials say “Not available in Alaska” once you are out there. The Huna Tribal House pictured above is also worth stopping by for an evening program or along your way on a hike. The decorated totem pillars and walls are a site to behold and sitting in the house while the fire is going makes a nice ambient setting while you learn about the Native culture and the surrounding areas. - Whale bubble net feeding: I missed this, regretfully. I met some other travelers who took this tour and I saw their videos & photos. I would definitely try this next time! There is a 2nd whale boating tour offered not through the park (known as the Taz). It is at another dock on the opposite end of town, but the shuttles and taxi will know where to take you. My best explanation to this is that the whales swim in a circle, rapidly exhaling and releasing bubbles while also making some sort of bellowing sound. This confuses the fish trapped inside and forces them to the surface where the whales and other birds feast upon the bubbling buffet. - Gustavus Plane crash: A short walk in the woods leads you to the wreckage of a 1957 plane crash. The cockpit is completely destroyed. 4/11 on board perished, but amazingly 7 survived this horrific crash. Debris is scattered amongst the surrounding forest and the wreckage is well preserved (although graffiti covered) for being 60+ years. - Bartlett River Trail: A very nice trail on the edge of a dense forest leading to and along the winding Bartlett River. There are at least 2 taxi services that are available as well to get you to town or various locations outside of the park (or you can plan accordingly and use the shuttle provided by the Lodge. They can also help you arrange a departure/return via a taxi if the shuttle is unavailable). The lodge recommends using the Strawberry taxi service which I also used. The driver was prompt, friendly & knowledgeable of the area. Pricing was a bit higher than I would have guessed, but when you are out in the middle of nowhere it is nice to have a taxi service at all available. I'll be back with Alaska Part 3 soon! Until then keep up on my social channels and sign up in the email footer to win some limited edition #Hashtag59 photo prints! IF you have any questions or want more help in planning a trip to Alaska just put your questions in the comments section!